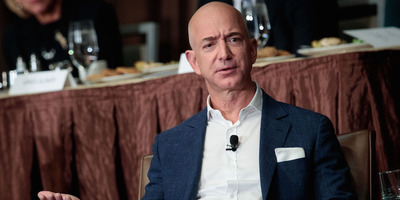 Burglars tried to break into Jeff Bezos’ Beverly Hills, California, mansion last week. They are not believed to have stolen anything from Bezos’ home, but it’s suspected that the same culprits broke into another nearby home that same night. After the police chased them for 25 minutes by car, the burglars escaped on foot. Three burglars attempted to break into Jeff Bezos’ Beverly Hills, California, mansion last week, TMZ reports. The burglars, who successfully evaded the police on foot after what TMZ describes as a “wild, 25-minute car chase,” reportedly broke a window before fleeing the scene. While the Amazon CEO’s possessions were reportedly left unscathed, it’s suspected that the culprits burglarized another home within the elite Hollywood neighbourhood that same night. The police have yet to identify suspects, TMZ reports. Amazon did not immediately return a request for comment.